The struggle of day to day living intertwines with fleeting moments of joy as we trudge through each day. Capturing those moments of joy often escapes us but at times…times we keep close to our hearts, times we wish could remain…we succeed, if only for a moment, in realizing what it is we live for. 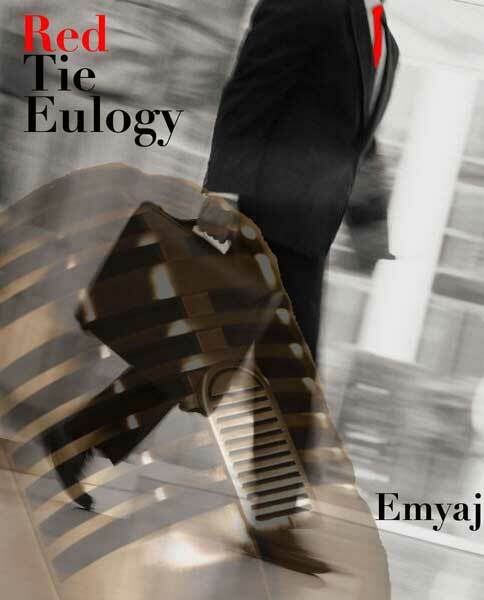 I use Red Tie Eulogy to examine the struggle to bring pleasure to that which is dull and joyless. Sometimes we can get lost in the grind as year after year we strive for life, and that striving becomes the life rather then that which we wish for. Through living we discover that adding variations of flavor to societal norms as simple as a red tie at a funeral or fishnet stockings to a business meeting we step outside the routine and capture a bit of life…a moment to remember. Red Tie Eulogy begins with Brown Shoes and a Black Belt, created in honor of my friend Anthony, which is the inspiration for the remainder or the album. Anthony has a way of presenting himself as a variation of life and brings many “moments to remember” with him. Following “Anthony’s song” is Morning Rain. Having lived in the desert a good portion of my life there are those glorious morning rains that have a certain cleansing feel to them. This song represents how these rare days bring live to the hot desert. The third song is Red Tie Eulogy along with Fishnet Stockings, Playing Hooky, French Accent and Fishnet Stockings (Reprise) are some of lives’ little variations that put a smile on my face. And when there are not enough variations within your life…there is Moving On.